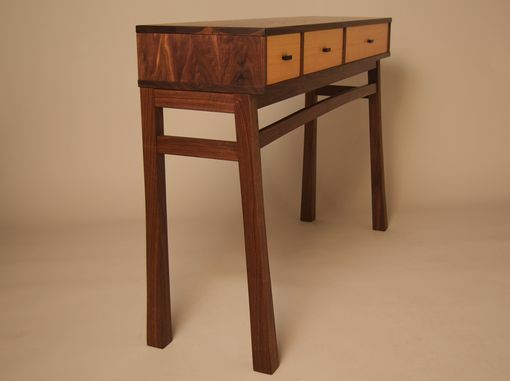 This console table, 'Two Steps Forward,' works great in a entryway or hallway as well as a sideboard for a dining room. It is made with black walnut and Douglas fir drawers with ebony pulls. 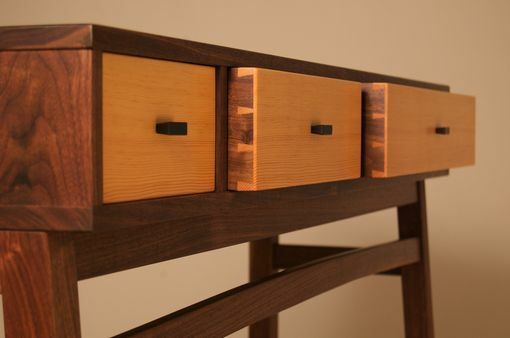 The drawers increase in width from left to right by the golden ratio and are an escape from the ordinary. 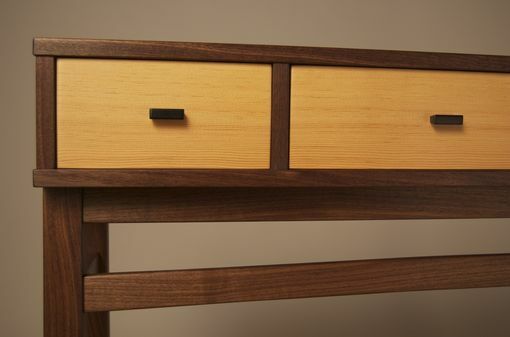 The drawers feature hand-cut, half-blind dovetails and solid wood bottoms. Infused with a mix of Japanese and Scandinavian design sensibilities.